At Farris, Riley & Pitt, LLP, our personal injury attorneys know that medications, even when your doctor prescribes them and you take them correctly, can in some cases cause more harm than good. We all place trust in our medical practitioners and assume that when they tell us to take something, it is because it will heal our sickness, ease our pain, or prevent further injuries to our bodies. There are times when drugs that are approved and marketed as safe cause serious side effects that result in dangerous, permanent, and often deadly injuries to unsuspecting patients. When this occurs, drug manufacturers may be held responsible for the harm their medications cause. An innocent victim of a dangerous drug may be able to file a lawsuit against the manufacturing company to recover monetary damages to compensate them for their injuries and suffering. For more than 20 years, Farris, Riley & Pitt, LLP has been helping victims of unsafe pharmaceuticals. We are committed to getting justice for those harmed by the negligence of other parties. If you suffered a serious injury or your loved one died after using a dangerous drug, you could be entitled to compensation. 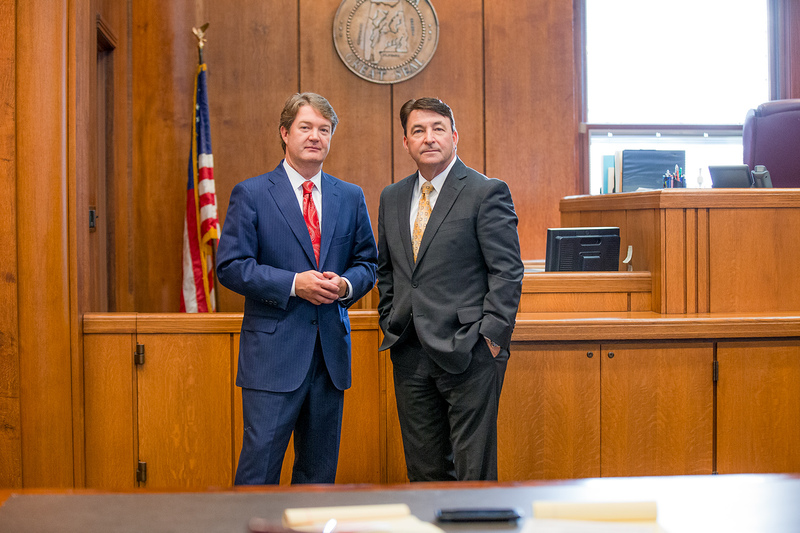 The dangerous drug lawyers at Farris, Riley & Pitt, LLP can review your case and discuss all of your legal options when you call (205) 324-1212 to schedule a free consultation. Why Do I Need a Dangerous Drugs Lawyer? If you have been harmed by a dangerous drug, you are likely confused about what options you might have. You may be dealing with a torrent of medical bills or an inability to return to work because of complications from a dangerous drug. Drug companies are incredibly difficult to sue because many common tort claims do not work for dangerous drugs. Attempting to recover compensation for injuries caused by a dangerous drug can often be an uphill fight. When you work with an experienced attorney, however, you will have somebody who understands the most effective way to handle these types of claims. Additionally, the lawyer will have a much better gauge of the true value of your claim so you can have somebody who knows what your case is worth. If you are reluctant to seek legal representation because of fears about possible costs, know that Farris, Riley & Pitt, LLP represents clients on a contingency fee basis. In other words, you do not pay us anything unless you obtain a monetary award. The attorneys of Farris, Riley & Pitt, LLP are dedicated to helping clients achieve the most favorable possible resolutions to their cases. We are prepared to fight to win. Our firm will not only conduct an independent investigation to determine the cause of your injuries but also identify all possible liable parties and work to hold them accountable. We have obtained multiple seven-figure verdicts and settlements for our clients. Most dangerous drug actions are product liability claims in which you will be arguing that a drug manufacturer breached a duty of care to consumers by not properly testing a medication or failing to warn you about severe side effects. Farris, Riley & Pitt, LLP understands the best ways to approach these types of cases and how to counter the usual attempted arguments from the manufacturers. Time can often be of the essence in these types of cases, so you should retain legal counsel as soon as possible. Contact Farris, Riley & Pitt, LLP today to see how our firm can help you. The Center for Drug Evaluation and Research at the United States Food and Drug Administration evaluates new drugs before they can be sold. CDER is responsible for both prescription and nonprescription (over-the-counter) drugs. Drug companies intending to sell a drug in the United States must perform laboratory and animal tests before testing the drug on people. After these tests, a series of human trials will determine whether a drug is safe and whether it provides a real health benefit when used to treat a disease. Drug testing and approval can often take years, but the FDA does have an Accelerated Approval Program that allows for approval of a new drug to be expedited. When a drug enters the market through this pathway, the drugmaker is still required to conduct post-marketing clinical trials to verify the drug’s benefit. A drug manufacturer can also request a Fast Track or Breakthrough Therapy designation. Fast Track is intended to get important new drugs to patients earlier, and a drug with the Breakthrough Therapy designation is eligible for the Fast Track process. Priority Review is another designation in which the FDA attempts to take action on an application within six months, as opposed to the ten months under standard review. After the FDA approves a drug, the drug manufacturer is still responsible for updating warning labels to make sure all known side effects are communicated to consumers. Drug manufacturers are typically the primary defendant in most dangerous drug cases, but other parties could be liable in certain cases. For example, doctors can be potentially liable for failure to warn you about potential side effects. A pharmacy could be liable for improper counseling on drug use, sales representatives may be liable for recommending dangerous drugs, and testing laboratories could be liable for failure to identify certain side effects. The potentially wide net that a dangerous drug action could cast is yet another reason it is critical to make sure you have legal representation for your own dangerous drug claim. Farris, Riley & Pitt, LLP will be able to review all of the specific circumstances applicable to your case and determine the best path to take. How long do I have to file a dangerous drug claim? Ins ome states, the statute of limitations is two years for a person to file a dangerous drug action. In most cases, the limitations period begins when an individual knows or should have known about their injury, but many drug manufacturers will attempt to have these claims time-barred based on the argument that the limitations period actually began when the company or the FDA issued an updated warning about the drug. Other states’ statute of limitations will vary. An experienced attorney will be aware of the applicable statute for your case. Should I continue to use a drug that has been recalled? You should always consult your doctor before discontinuing the use of any prescribed medication. A physician will be able to consider the recall and recommend the best possible treatment for your unique needs. If you know you have suffered an injury because of a recalled drug, you should not hesitate to contact an experienced personal injury attorney. What is “off-label” use of a drug? Off-label use refers to using an FDA-approved drug for an unapproved use. After the FDA approves a drug, a doctor may legally prescribe the drug for an unapproved use if they believe it is medically appropriate. Reasons for off-label use might include the lack of an approved drug for your disease or medical condition or lack of benefits from other approved treatments. Off-label use might include: using a drug for a disease or condition for which it is not approved, giving a drug in a different way, or prescribing a drug in different dosages than what is recommended. While doctors can prescribe drugs for off-label use, drug manufacturers are prohibited from recommending any uses other than what the FDA has approved. According to the National Institute on Drug Abuse, 11.4 percent of young people aged 12 to 25 used prescription drugs nonmedically within the past year. Additionally, 25 percent of those who began abusing prescription drugs at age 13 or younger met clinical criteria for addiction sometime in their life. NIDA also reports that an estimated 54 million people have used prescription medications for nonmedical reasons at least once in their lifetime. A study published in JAMA, The Journal of the American Medical Association, found that over 80 percent of older patients (aged 57 to 85 years) use at least one prescription medication on a daily basis, and more than 50 percent take more than five medications or supplements daily. The 2016 National Survey on Drug Use and Health from the Substance Abuse and Mental Health Services Administration (SAMHSA) found that 6.2 million people aged 12 or older misused prescription psychotherapeutic drugs in the past month. The total included 3.3 million who misused prescription pain relievers, 2 million people aged 12 or older who misused prescription tranquilizers, 1.7 million people aged 12 or older who misused prescription stimulants, and 497,000 who misused prescription sedatives. CNBC reported that approximately 80 percent of the global opioid supply is consumed in the United States, which represents only 5 percent of the global population. The personal injury lawyers of Farris, Riley & Pitt, LLP will fight for you if you have been harmed by a dangerous drug. We represent clients nationwide. Did you suffer serious injuries or was your loved one was killed by a dangerous drug? You can have our attorneys provide a complete evaluation of your case when you call (205) 324-1212 or contact us online to schedule a free consultation.